Step right up for this week's thrilling take on the terrifying tricks and stunning spectacles of college admissions news! We'll be back in town next Friday with even more. SCARY SAT SCORES. No, I’m not talking about my math SAT II results. Average national SAT scores from this past school year were just released—and boy, is everybody depressed about them. More than half of high school seniors aren’t ready for college, and it’s been that way for five years. The Atlantic calls the lack of progress grim. The Washington Post’s blogger says SAT scores are “meaningless” and criticizes their use in college admissions decisions. AIM HIGH. 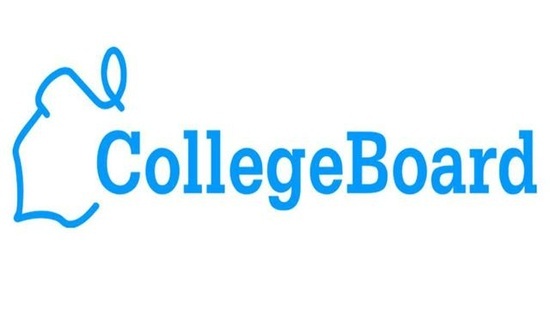 The College Board will send info packets on prestigious colleges, along with fee waivers for any six colleges of choice, to low-income high school seniors whose SAT scores are in the top 15 percent. Recent research showed that most of these kids don’t even apply to these top colleges, which typically offer the best financial aid packages. ADMITTEDLY ACCESSIBLE. Remember when we on the Admissions News team pined for Google-for-college? It may already be here. A new start-up meant to level the college admissions playing field launches today: admitted.ly. As Tech Crunch explains, admitted.ly sticks with high schoolers from freshmen through senior year and offers services like helping students choose viable college options. Free now, pay (for some stuff) later. 11-YEAR OLDS, MEET COLLEGE. But actually. Three solid college admissions tips from U.S. News and World Report: start planning in middle school for high school math courses and college goals; consider financial aid options in deciding when to apply to college; and demonstrate your interest in a school to admissions officers (it’s important). 10 THINGS I HATE ABOUT U For fretting college applicants of any gender, HerCampus warns of the hidden perils of college applications: forgetting to apply to safety schools, straining relationships with friends and family, neglecting senior grades. Warning: May only be suitable for overachieving children of over-involved parents. “FREEBIES FOR THE RICH.” A New York Times economics reporter argues against universities giving merit money to wealthy kids with higher SAT scores, rather than providing financial aid to low-income kids. Merit aid may boost college rankings, but it doesn’t lower drop-out rates and can hurt a state’s economy in the long run. Ouch. MERITS OF MERITOCRACY. If you’re wondering what merit even means, you’re not alone. Over at The Chronicle of Higher Education, high school guidance counselor James Jump ponders the distinction between merit and privilege. COLLEGE-COUNSEL FOR AMERICA. The National Journal reports on a program that, like Teach for America with a twist, hires college grads to work as college admissions counselors in high schools with low university-attendance rates.